Yesterday morning I drove my friend up to Red River to get her driver's license renewed. 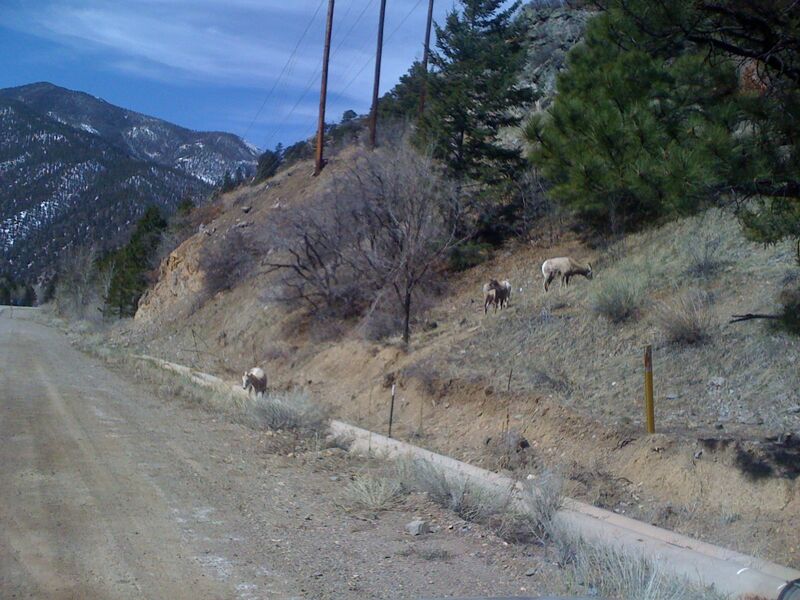 Along the road between Questa and RR, we saw these adorable goats busily ruminating on the roadside. On our way back, they allowed me to pull over not far from them to take these photos from the car. What great pictures especially the second one. Wow I have always loved visiting the area where you live. Just amazing how beautiful it is. Why don't you do a Blogazine story about your life there. The road is unpaved? I've missed that road in my meanderings. Yes, Martie, life is good. Maggie: I would love to! I'm on my way out of town now, will try to find some time to work on that while I'm gone. Jack: There is a very wide dirt apron along the paved road. 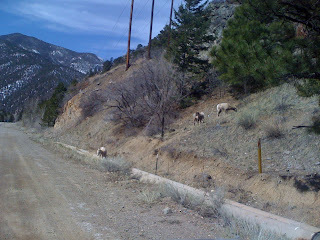 The goats seemed to be hanging out in the area of the mine. My curiosity was piqued by the fact that one of them, in another group, was wearing a red collar. 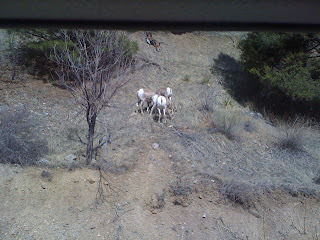 Those fancy Red River goats!